We received a request for developing a command line version for edump a long time ago. 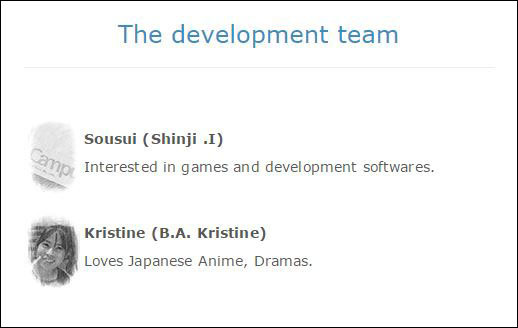 so we’ve developed and provided it already. When you use this module, you can send a message on Windows. Some kind of programming language has already been connected to the “Command Prompt” of Windows. As a result, the existing language can access edump through this module. You can download the module on the web page below. This command of edump will work on your computer’s environment! [ New feature ] edump’s viewer has been equipped with a new feature. Hello everyone. 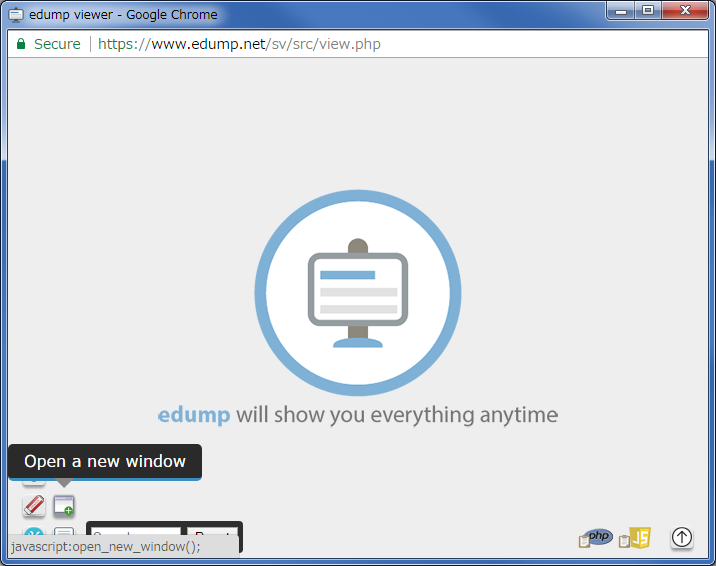 Recently edump’s viewer has been equipped with a new feature which is switching to “Show User Interface”. You’ll be able to change the status when needed. When you use this feature, you can see more variables on the viewer. You will be able to change the status when you push “Shift + 1” on the keyboard . Pushing it everytime, showing the status of the User Interface will be changed. We hope to improve your development environment. edump’s viewer has been equipped with multi languages. 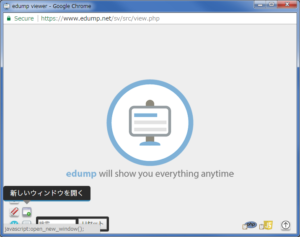 Recently Japanese user increased for using edump so we equipped with Japanese language to edump’s viewer. As a result this viewer can recognize specific languages depending on the user environment from the internet browser. I hope to improve user’s development environment every time. “_v” which is the main function of edump has been equipped with a feature that can receive variable arguments. Largely accessing edump will be prevented. Recently edump has been equipped with a new feature which prevents it from being accessed by unauthorized and malicious websites. 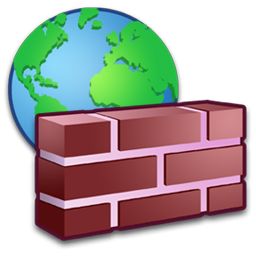 This feature can recognize specific malicious access and users on the system so edump will still be able to run the service for their users if bad users try malicious access. We want to provide safe and quality service for our users every time so we will improve edump again and again. 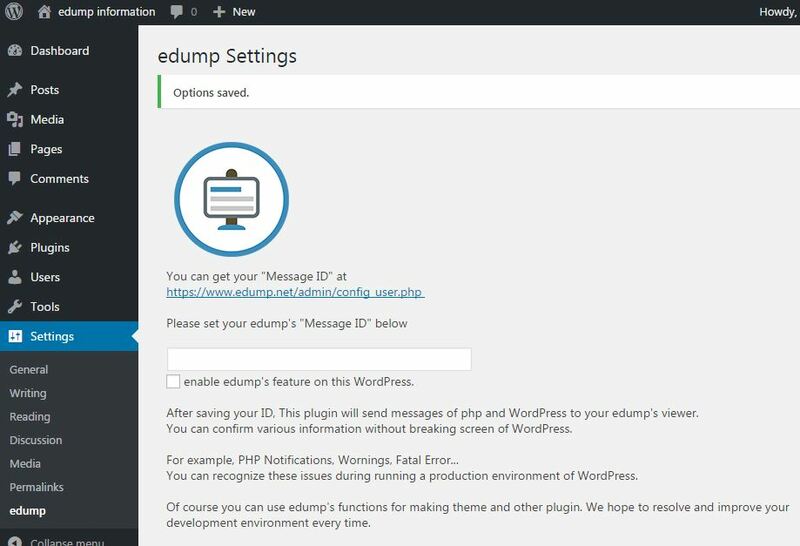 A plugin of edump for WordPress has been released recently. This is a beta version but probably there’s no problem. 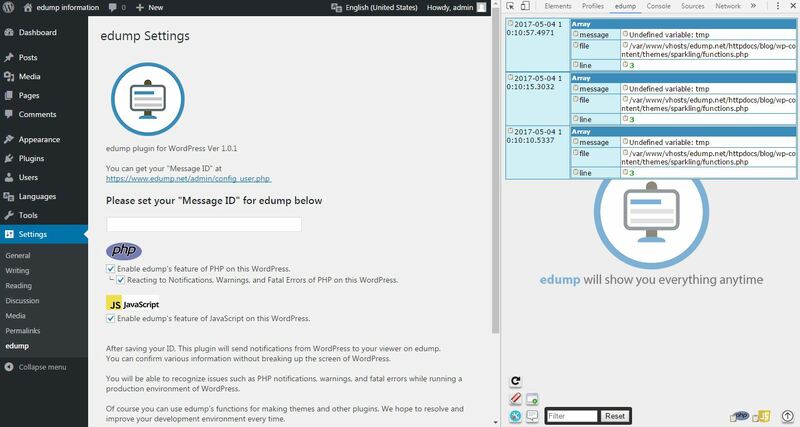 After installing it, You can confirm the circumstances of development on your WordPress via edump’s viewer. Usually we can not recognize some issues of WordPress in the production stage, However, this plugin will be able to show the information of development. If you have some trouble with WordPress or making themes for WordPress, this plugin will help you. Viewing speed has been increased. edump’s viewer can handle huge data but sometimes it’s loading speed is a little slow. We addressed this issue recently. 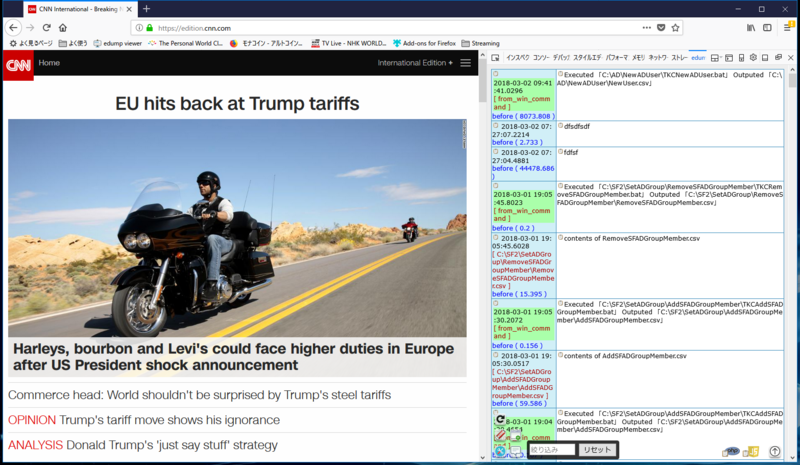 edump’s viewer has been equipped with data compression technology during communication with edump’s server and edump’s viewer. As a result, the viewer’s loading speed increased, and users can use edump comfortably. We are going to try improving the performance of edump every time.